I’m very particular about nail polish colors, so when I find a good one, it usually joins my favorites list. Although I don’t own many polishes, there are definitely a few colors I find myself reaching for each time winter comes around. Dark, muted and neutral colors are my favorites for this time of year. 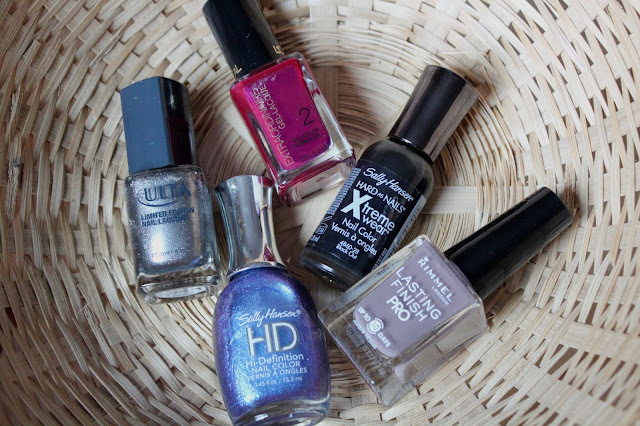 These polishes in particular have been making their rounds on my nails. Somehow I’ve found the motivation to change it up about once every week or so, and it’s these colors that I continue to use. Being that it’s the holiday season, I usually go for darker versions of colors I’d wear throughout the year. 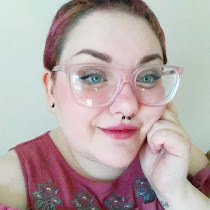 While I like wearing a cherry red in the summer, maroon is more fitting in the winter. It’s dark, and it’s a Christmas color. Although I prefer a slightly more purple-red, L’Oreal’s Gel-Laque in 708, Beauty Never Fades, is such a great Christmassy polish. Another thing I reach for in winter is glitter nail polish. Though I’m not the biggest fan of glitter, it can definitely add a finishing touch to a festive nail design. 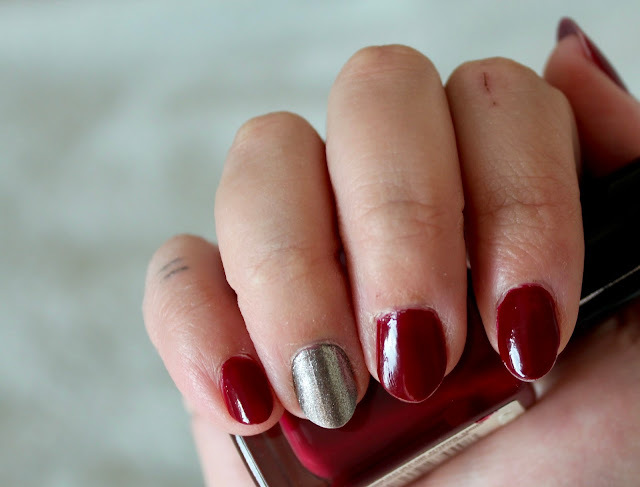 I paired a dark silver Ulta brand polish, named Silver Bell, with the red, for a lovely, festive look. To continue with the glitter theme, an unexpected combo that I tried out recently is black with Sally Hansen’s HD polish in the shade 15, DVD. The mesmerizing iridescent color shifts from purple to blue in the sunlight. Here, it makes my nails look navy blue, but in different light it looks more like a dark purple. Although this polish is great on its own, it makes a nice wintery shade added on top of black. Finally, a nice neutral Steel Grey by Rimmel is an easy choice when I’m undecided. It’s a classy color that goes perfectly with winter clothes. It is one of my overall favorites. Plus, the bottle design itself is so good. Those are my go-to nail polishes this holiday season. What are yours?